URGENT! Attention Employment Screening Clients As of June 1st, 2018 Orca will no longer be able to accept Employment Applications to process unless they are compliant with HB 1298. > Click here for more information . 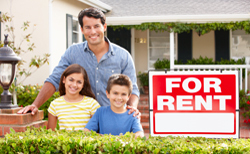 Seattle Landlords: New and Required Wording For Your Rental Applications! Read all the information in our recent blog post here. "Thank you for your time and helpful information this morning. My heart says give these potential applicants with arrest records a chance to get back on their feet. My head, however, says stay away. I just didn't know how to do it legally. Thank you. You didn't have to invest so much time with me on the phone; but you did. That's one of the reasons I love your company." "I have been using Orca Information for over ten years to perform our screening services. They are prompt in delivery and accurate with the information. I like how fast their team can turn around a report for us when time is of essence. Fees are very reasonable for the high level of information provided. The owner Rebekah is very active in the industry as well providing education and legislative information to the industry. I have referred Orca Information to many of my colleagues." "Orca Information has provided screening services to me for the past nine years. It's the ease of obtaining information that makes me choose them first; in addition to their ability to provide the results quickly and accurately. The staff is friendly and easy to reach which is important to me as I don't often have extra time to wait for someone to return my call. I also appreciate that they pass on information important to my industry (Property management) as they stay current with local changes to law, etc. Orca is simply a great organization and I am confident in referring them for anyone's screening needs."